This Mexican Spice Blend is so easy to make and use. This Mexican Spice Blend is made to give a Mexican spiciness to any food! It is simple to make and surprising in your mouth! You can feel the paprika, the chili, coriander and cumin. All these strong spices that together create a blend to season like a magic touch. If you love Mexican food, you will love this easy spice Blend. Get our Spice eBook BELOW to get full instructions on how to use this easy spice blend! Inside is a recipe for a delicious Beef Nachos to share recipe. Salsas, stews, chilies and other typical dishes would not be as we know them without the qualities from amazing spices used in modern Mexican cooking. Mix all elements together and use as desired to season food. A link to the set with a sweet discount is included in the Ebook listed above. Keep away from heat, moisture, and direct sunlight. Avoid storing over the stove, dishwasher, sink or near a window. These elements will reduce flavour intensity and can also introduce moisture to your blend storage containers. Always close spice containers tightly after each use. Spices and herbs that are whole, will maintain their freshness longer than those that are ground. Spices and herbs do not spoil as such but they do lose their strength. Old and weak seasonings will not deliver the taste they should. Spices and herbs will keep for a long time if they are stored in airtight bottles. 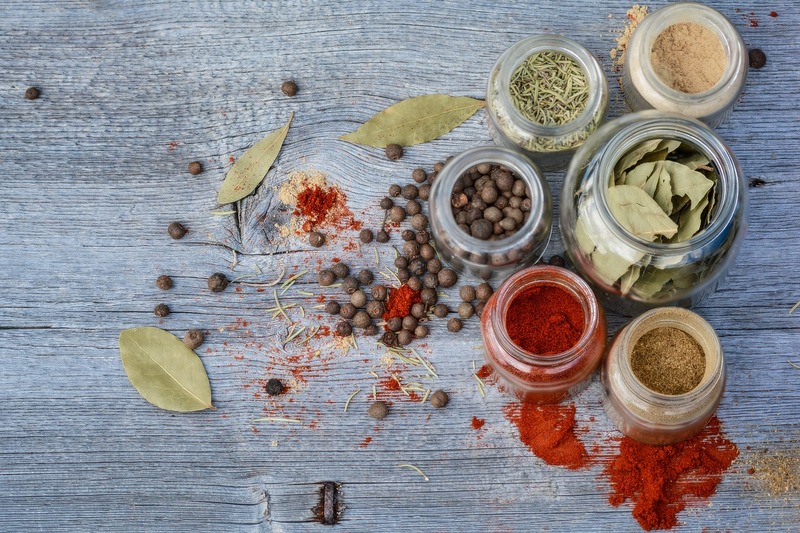 The shelf life of properly stored spices and herbs is approximately 4 years for whole spices, 2-3 years for ground spices and 1-3 years for leafy herbs or when using dried peel. To see if your spices and herbs are still fresh – Check the look, smell and taste. A visual check for color fading is a good indicator of flavour loss. Taste and smell your spices and herbs; if a fresh odor or taste is not apparent, they need to be replaced. Do not sprinkle spices and herbs directly from the bottle over steam. Steam introduced into the bottle will hasten the loss of flavour and aroma. Steam will also result in the spices clumping together. Make sure your measuring spoon is completely dry when you dip it into the bottle. Moisture introduced into the bottle will also result in caking and flavour loss.